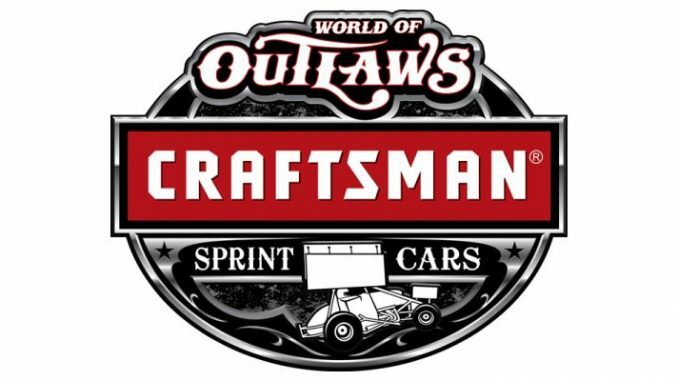 CONCORD, NC – July 17, 2018 – It’s July, which means the World of Outlaws Craftsman Sprint Car Series is in its richest stretch of the year – the Month of Money. The Series will make its annual stop at Lernerville Speedway on Tuesday, July 17 with the running of the Don Martin Memorial Silver Cup, paying a smooth $25,000 to the winner. “We are starting to get into an exciting stretch of the season. A lot of money is on the line during the month of July. I think we are all ready to get started,” nine-time Series Champion and current points leader Donny Schatz said in anticipation of the Month of Money. Schatz leads the stiff field of Outlaw regulars into Western Pennsylvania looking for his second consecutive Silver Cup triumph. In total, Schatz has eight career wins at the high-banked 4/10th oval. As always for the Silver Cup, a strong field of regional Ohio and Central Pennsylvania cars will be on hand looking to cash in on the big payday. AJ Flick, the current Lernerville points leader, will lead the Western Pennsylvania contingent looking for a hometown victory. One of the most memorable Silver Cups of all time was back in 2002 when Ed Lynch. Jr, the all-time Lernerville wins leader, scored his one and only World of Outlaws Craftsman Sprint Car Series victory in front of a raucous crowd. On the Outlaw side, David Gravel heads into the Month of Money, and especially Lernerville, with a lot of confidence. Gravel, the 2016 Silver Cup Champion, is the most recent Outlaw winner scoring the 2017 Commonwealth Clash on September 23, 2017 in exciting fashion. Gravel and the CJB Motorsports No.5 is also coming off his fourth win of the 2018 season, emerging victorious on the final night of the Brownells Big Guns Bash at Knoxville Raceway last weekend. The Month of Money gets underway for the World of Outlaws Craftsman Sprint Car Series this weekend at Cedar Lake Speedway with the two-day FVP Platinum Battery Outlaw Showdown Friday and Saturday, July 6 and 7. Following that the Series will continue its 40th Anniversary Season with a stretch in Ohio, including the lone appearance at Attica Raceway Park before heading to the $50,000 to win Kings Royal at Eldora Speedway. After the Silver Cup, the Outlaws take on the Pennsylvania Posse for the first time in 2018 at Lincoln Speedway before heading to Williams Grove for the Summer Nationals. The Series will head to New York for a trio of events to conclude July before heading to the Ironman 55 that, due to rain last year, will feature two, $20,000 to win, 55-lap races. The Month of Money will conclude at the Knoxville Nationals, which is the richest event on the World of Outlaws schedule and will pay $150,000 to the winner. Stay tuned to everything World of Outlaws on our social channels or by visiting woosprint.com!